Buying a Stock Photo CD was a common practice years ago, after digital images became the norm, and before online stock photo agencies dominate the market. In present day they might not be so popular, but they are still a very useful way to get a large amount of images within a determined subject. 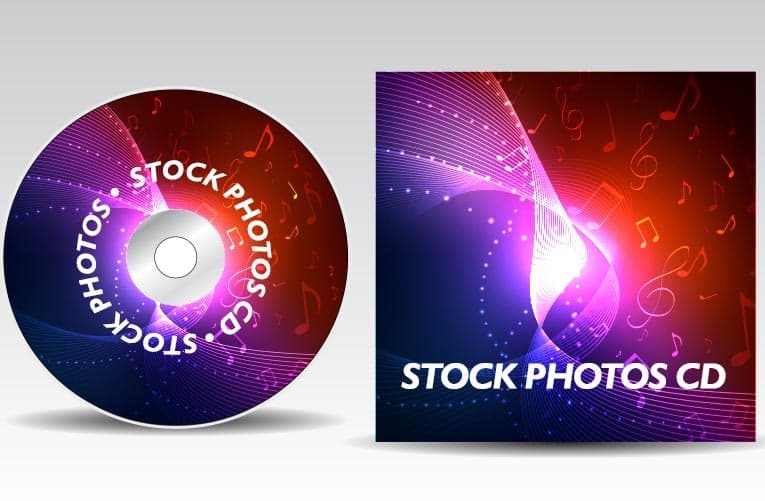 Stock Photo CDs contain collections of stock photography, in CD-ROM or DVD format. These disc collections are formed by multiple images, often curated around a theme, category or concept, such as holidays, business, technology, sports, etc. The value in this buying options is you can acquire dozens, hundreds or more photos — depending on file sizes and resolutions — covering a particular topic. Instead of surfing through an agency's library and licensing the images you want, you are the owner of an entire collection you can access to and use at any time. What's on a Stock Photo CD? In one word? Images! From tens and up to thousands of them, to be more specific. The amount of photos on a CD depends of the resolution of images, as that determines the file size. Web resolution photos are 72dpi, small files. But high resolution images (print quality and such) are 300dpi and much larger in file size. Some stock photo CDs also include a picture viewing software, to make browsing and managing the collection easier. Images come in high-quality JPEG or TIFF format. Images contained in stock photo CDs are usually licensed as Royalty Free. This is mainly because given the large volume of photos included, it would be pretty much impossible to police Rights Managed licenses for each of them. However, Royalty Free images are very versatile and useful. Most major stock photography agencies offer stock photo CD collections, as well as their online libraries to license images individually. Office supply retailers and online stores like Amazon.com also carry stock photo discs. As is often the case, you get what you pay for. CDs from stock photo companies tend to be better quality. Stock photo CDs range in price from under $100 for on-sale or bargain photos all the way up to over $1,000 for high quality collections. Buying one of these dics require a large up-front investment. The savings can be significant compared to buying images one at a time. Since the dawn of the stock photo subscription the money-saving feature is not as relevant as before, but the CD is a one-time pay against the subscription's monthly fees. The core value in buying a stock photo CD is that you own an entire collection of images in one step. One purchase gives you access to up to thousands of photos within a theme or category, that you can access and use whenever you want.